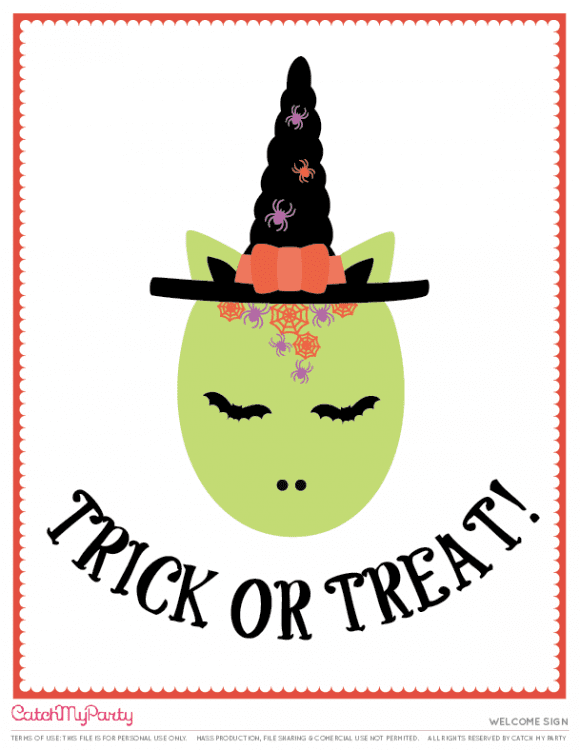 Unicorns are everywhere, so why not turn them into adorable witches for Halloween! 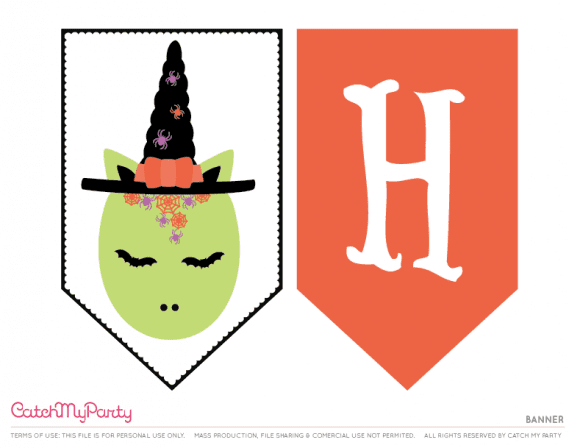 I'm super excited to be sharing these FREE Unicorn Halloween Party Printables to help you decorate your Halloween party this year! The collection includes: invitations, a welcome sign, 2" cupcake toppers, a "Happy Halloween" banner, favor tags, tented cards and water bottle labels!! 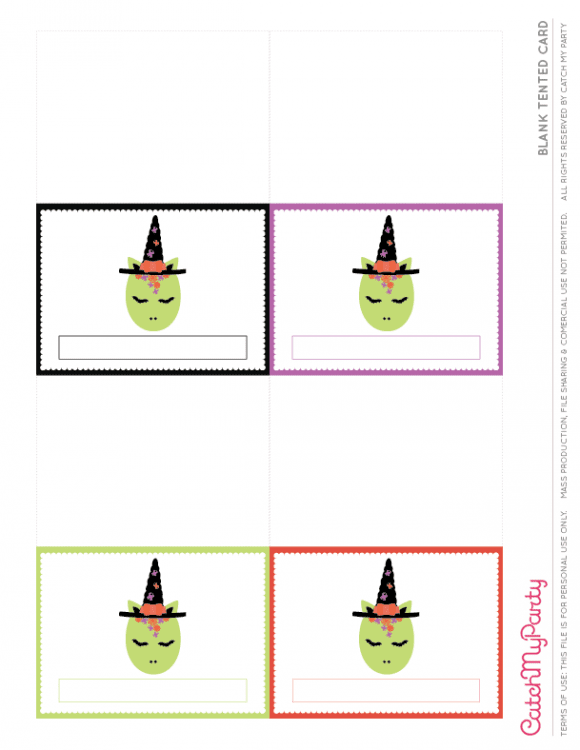 Download the Free Unicorn Halloween Party Printables HERE! Here are the party invitations. Here are the party/cupcake toppers. Here are the the tented cards/place cards. 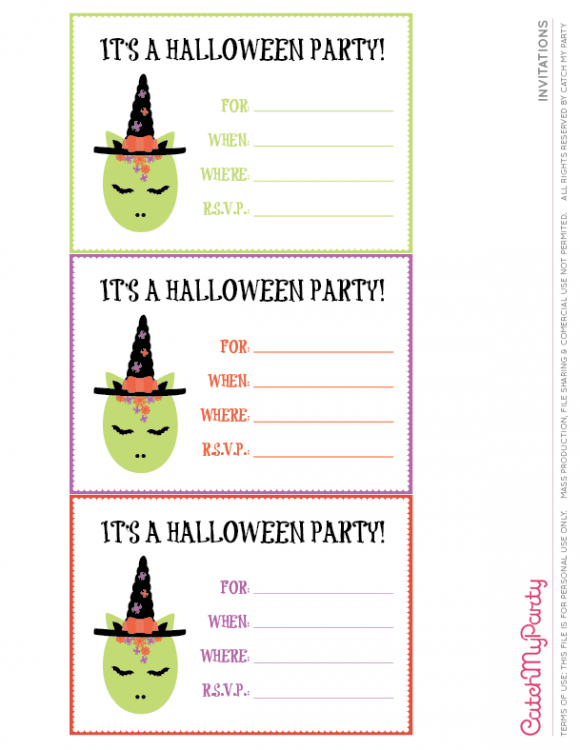 Here are the Halloween party favor tags. Here's a sample of the banner that spells out "Happy Halloween." Here are the water bottle labels. 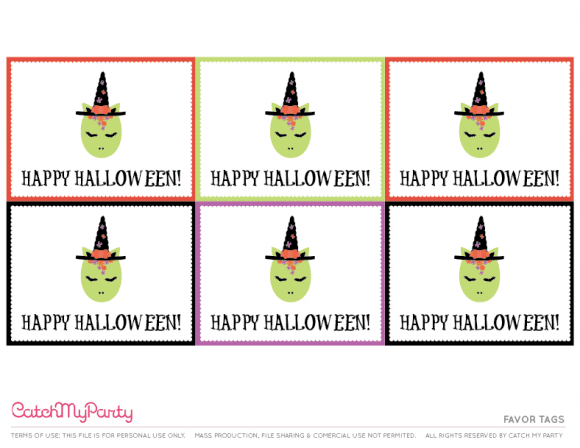 If you use these printables for your party, please add your party photos to Catch My Party. Just click on the "add party" link in our nav bar, and follow the simple steps to add your photos and descriptions. I'd love to see what you do! Make sure you don't miss all the Halloween parties we have on Catch My Party and all the adorable Halloween party supplies from vendors with listings on our site!